• Wildlife Food Plot seed. 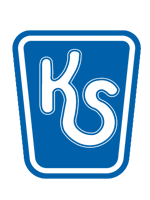 As an independent company, we have access to every breeding program commercially licensing genetics to seed companies. We produce and provide the best hybrids for our marketing areas. 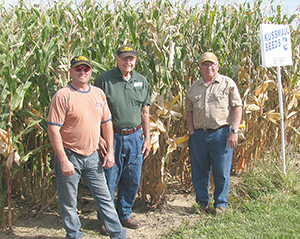 Roy Hardy, Duane Jonas and John Augustine show off some well-developed ears of corn at Augustine’s farm on Kussmaul Corn Plot Day. Our employees are dedicated to providing you with the very best seed. Our employees who farm have friends that buy our seed. Our production employees have buddies who plant Kussmaul Seed. Our salesmen have made friends and have formed personal relationships with many of their customers. 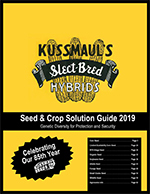 Everyone at Kussmaul Seed has a hand in what we offer. Our employees take great pride in what they do and feel responsible for the seed that we deliver.